DxStockholm doesn't make sense, I'm pretty sure it doesn't actually exist. And if it *did* exist, then I'm almost certain I wouldn't make the list. It must be a particularly vivid dream, probably someone else's. I suspect Philippa's Dinkleflake-(me neither)-bacon-pancake-apple-sauce-and-double-cream breakfast is causing some sort of hallucination and I'm in it. Grand, wide, impeccable streets strewn with petals. Impossibly blue Scandinavian skies. More than two dozen storytellers with barely a beta cell between them, weaving tales in half a dozen languages. And yet, this time last week I was there. It is very easy to get cynical about these things. As a middle-aged Brit it's virtually compulsory. Any company that puts an event like this together obviously wants something. For all the compliance form-filling about not expecting anyone to write anything, surely it's just bribery plain and simple. Chuck 'em a few treats, show them some shiny new toys and let them spread the word for you through the FaceTwit-o-sphere. DxStockholm was the second of Abbott's European Blogger weekends. Last year saw one held in Berlin. There was an event in Sydney a month or two ago. I can't speak for the other events, but in Stockholm there was only one short session, led by Abbott's Principal Research Scientist Chris Thomas, that came anywhere close to mentioning product, and that was the only session where all participants were explicitly forbidden from saying anything about what they heard. The rest of the weekend was an amazing opportunity to meet, mingle and share experiences among a group of bloggers from the UK, Germany, France, Holland, Sweden and Italy. A diverse bunch of people all at different stages of life, and at different points along their own unique diabetes journey (sorry... let's just all agree to forget that I actually used the 'J' word, apparently without irony, and never speak of it again). There was a programme of talks and interactive workshops that covered everything from personal creativity to the potential timing of being subjugated by our newly created super-intelligent hyper-machine overlords. We ate, we chatted, we shared, we learned, we laughed, we moved robot cat ears with the power of our minds. I am hugely grateful to have been invited. Honoured doesn't begin to cover it. DxStockholm really did feel like a genuine attempt on the part of Abbott to engage with the patient community. To support it and recognise it as a 'good thing', to encourage it and feed it. 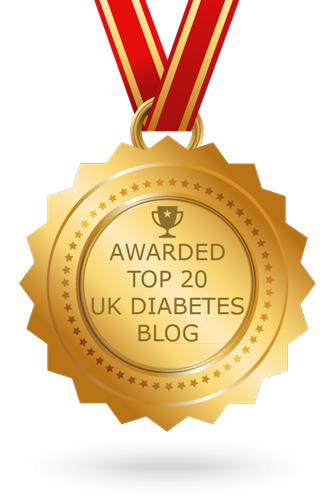 Living with a long term condition like type 1 diabetes is easier when you are walking alongside others. Where people can stand by you when you wobble, or understand the tiny, joyful victories of inexplicably well behaved BG levels after some food extravagance. The cloud of voices sharing their stories across Europe as grown enormously since we started writing this blog and I am proud to be a tiny part of that. In the same way that a building feels very different when you know that there is someone else in it - even if they are several rooms or floors away - my life with diabetes is more settled, easier to face, when I know I am connected in some abstract way with many others facing the same daily irritations, triumphs and disasters. Abbott's theme for the weekend was 'My future, my choices', which led to a very engaging and interesting programme of content. If you'd like a really good summary of the weekend, with some cracking pictures this post by Jen Grieves is a good one. See also this, this, this or this. Honestly! Invite a bunch of bloggers to an event and suddenly you are up to your eyeballs in posts, all better than this one. 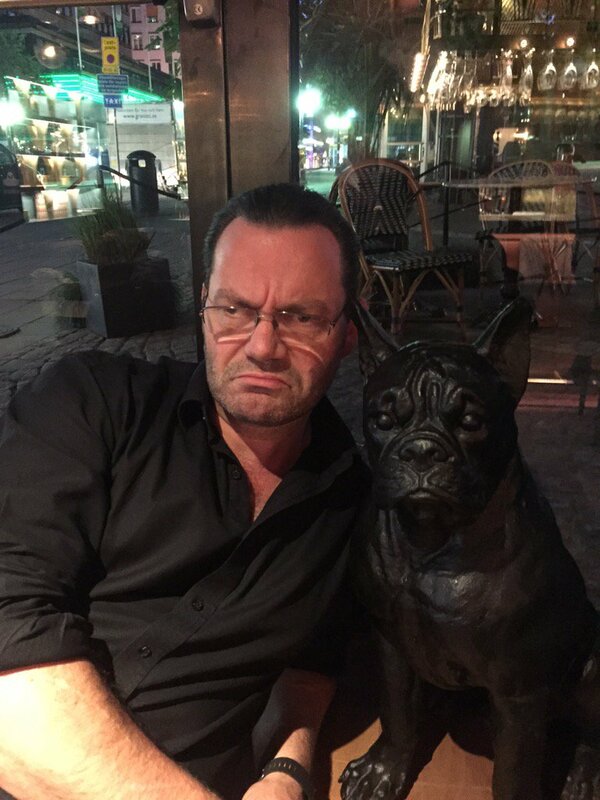 Stockholm is a really cool place. And it's always sunny. Always. People are inherently creative, even if they don't think they are. Even the simplest snippets of conversation have a unique rhythm to them. Unique insight. Unique voice. You don't have to try too hard, or try to be like anyone else, or do what they do. You just have to be you. No-one on earth can do that like you can. The future is a really exciting place. Things, people and information are getting more seamlessly connected and the Next Big Thing is just around the corner. What sounded like crazy science fiction 5 years ago is happening now and will be everywhere soon. But all of this wearable technology, interconnectedness, captured data, stored knowledge and artificial intelligence has no moral compass. We will have to provide the ethical framework for this exponential future. Above all we will have to remember not to lose sight of the value of people (Dalai Lama quote in that pic rather sums this up). BioHacking is alive and well outside the diabetes world just as it is with the #wearenotwaiting brigade. Hannes Sjoblad introduced BioHacking as 'science where n=1'. Which sounds very much like what people living with type 1 diabetes face every day. Personal experimentation, data collection and the quantified self. Being aware of what data can be collected and how it can be used for and against you. Snapchat is apparently a thing. And I still really don't get it. Mindfulness is relaxing, but not ideal in a warm room at the end of the day with an impromptu scooter rally collecting in the street below. One of the funniest things in the world is waiting while a very hungry Grumpy Pumper is about to be served a handful of toasted cauliflower croutons on an enormous, elegant white soup plate before the (delicious) soup starter is poured. If you've ever wondered if that frown can get any more frowny... I can confirm the answer is a big, solid YES. Other Europeans are amazing with languages and our laziness and lack of ability as a country makes me cringe. 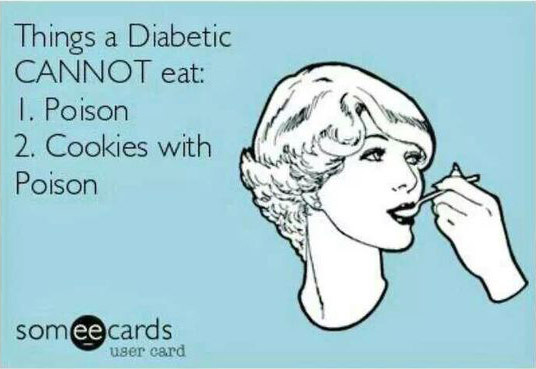 Type 1 diabetes likes nothing more that to bring you down to earth with a bump. On Friday, as I landed in Stockholm and stood to move from my seat I happened to notice a young girl in the row behind with a familiar-shaped disc on the back of her arm. It turned out to be one of the German bloggers Lisa - the very first person I met at #DxStockholm. We got chatting and ended up sharing a taxi to the hotel with a few others on the same flight. My German stretches about as far as "Lumpi ist mein hund", "ich bin zwölf jahre alt" and "sprechen sie Englisch" but we all managed to chat away in the taxi thanks to their rather better command of English. Just before breakfast on Sunday morning as people were gathering and chatting away, Lisa suddenly collapsed. A rapid and unexpected crash into hypoglycaemia really knocked her for six and she slumped by the buffet table. Of course, there are few places you could be where you would get more immediate and knowledgeable help, and Lisa was on the way to recovery before the paramedics arrived. But it served as a bit of a reality check to all of us. These events lurk in the corners of each of our lives and while we sometimes splash our insulin around with casual abandon, there is a real and present danger quietly hovering in the background. But even these events are part of our stories. 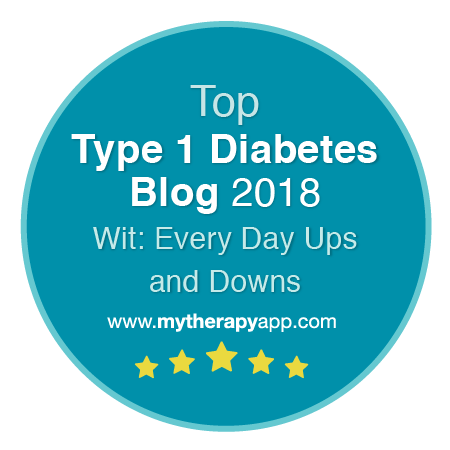 The highs and lows of a life with type 1 diabetes. As a community we are better together. Different voices, different experiences, different perspectives, different needs and hopes and aims. But all fundamentally connected by our wonky pancreases and our dark sense of humour. Put two or three people with diabetes in a room and they can talk for hours - even if none of them speak the same language. 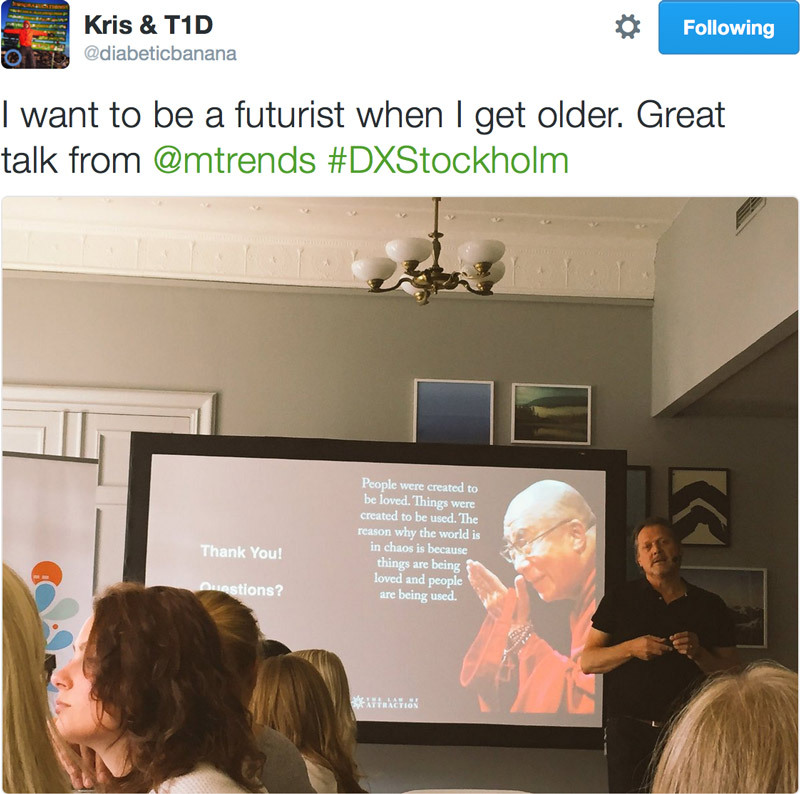 Huge thanks to Abbott for the opportunity of taking part in #DxStockholm. 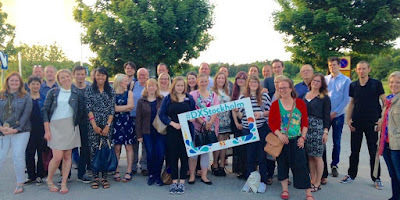 It was an honour to meet so many amazing bloggers from all over Europe and to feel connected to a wider world. Disclaimer. 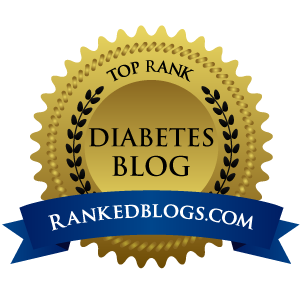 Abbott Diabetes sponsored my attendance at #DxStockholm and paid for travel, accommodation and organised the event itself. 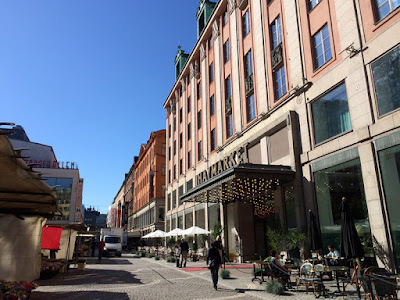 They also treated us to a smashing dinner at Kung Carls Bakficka restaurant on Saturday night and provided a beautiful cookbook on swedish cuisine. I have not been asked, or paid to attend, write about or publicise the event - frankly I think they have been more than generous! Hope to see you next year :) Great post about an amazing weekend.